We’re collaborating with Procter & Gamble to bring you the best deals during P&G Super Brand Day. 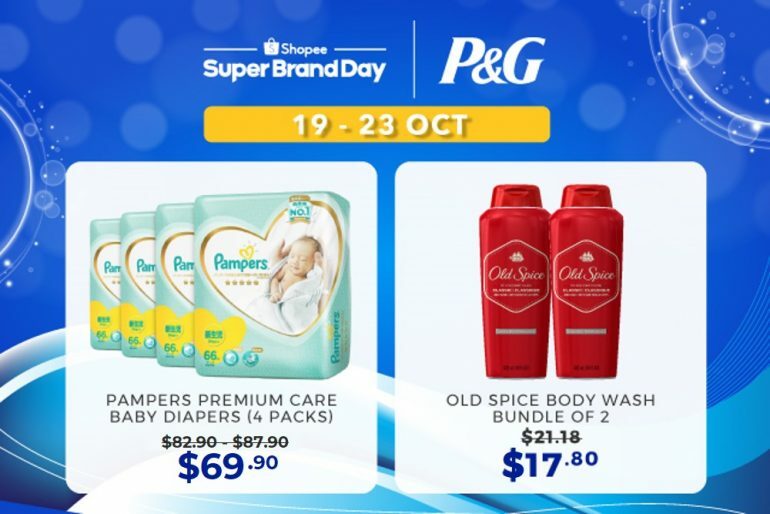 From 19 to 22 Oct, leading up to the actual sale day on 23 Oct, we’ll be having discounts across P&G brands like Pampers, Dynamo, Herbal Essence, Oral-B, Gillette, Old Spice and more! You’ll want to take this opportunity to stock up on all your daily essentials ranging from fabric care all the way to oral care! 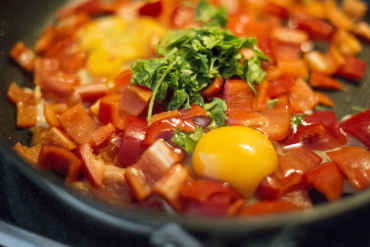 Take a sneak peek here. Yep! Everyone’s favourite wheel is back! 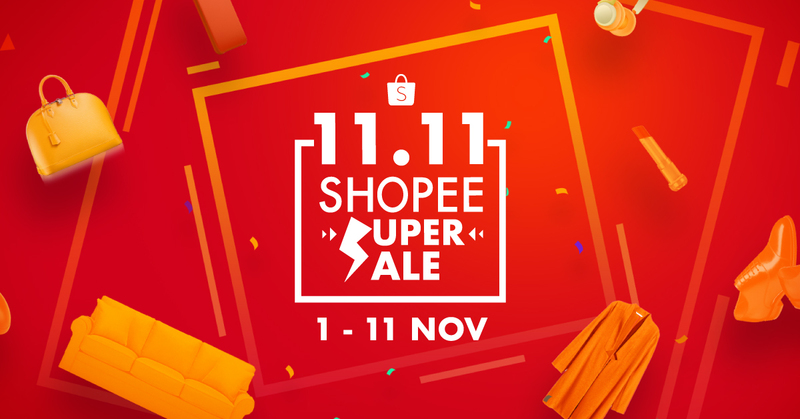 From 19 to 23 Oct, every Shopee user will be entitled to one free spin daily to win instant prizes like Shopee Coins, Vouchers and even products. On 23 Oct, we will be releasing the bestseller Dyson Tower Fan into the pool of prizes to be won. Want more spins to increase your chances? Simply purchase any product from the P&G Official Store and Pampers Official Store to earn more spins. Psst, no minimum spend required! Be rewarded when you shop! Walk away with a robot cleaner, the iRobot Roomba 880 (Worth $1,298) when you’re the highest spender on the P&G Official Store on 23 Oct, or 6 months worth of Pampers Dry Pants (Worth $500) when you’re the highest spender on the Pampers Official Store from 19 to 23 Oct.
We’ll be having thematic days leading up to the P&G Super Brand Day on 23 Oct. We’re talking about an entire day dedicated to Fabric Care (19 Oct), Hair Care (20 Oct), Shave Care (21 Oct) and Oral Care (22 Oct) with deals at up to 30% off! If you’re running low on your daily essentials from these categories, you know where to head to! And of course, D-DAY! Set your alarms because you won’t want to miss out on deals from Old Spice, Olay, Pampers and more! What kind of deals? Well, we’re talking about the Old Spice Body Wash Bundle at just $17.80 (U.P. $21.18) and the Pampers Premium Care Baby Diapers at just $69.90 (U.P. $83.50). All these will be released via our Flash Deals page. Oh, and if you’re a fan of the American male grooming brand, Old Spice, good news! It will be finally available in Singapore and we’ll be the first platform in Singapore to officially launch their products! So, hurry postpone all your appointments now! Mummies and daddies, this is for you! The No. 1 Brand of diapers in Japanese hospitals will be having a sale at up to 30% off. And that’s not all. We will also be releasing up to $20 promo codes soon, so do keep a lookout! If you’re a DBS or POSB Cardmember, you’re in luck! Enjoy 15% off* your purchase from 19 to 23 Oct. What are you waiting for? Shop here now! * Min. spend $80, capped at $15. T&Cs apply. Of course, we’re also holding exciting giveaways on our Official Facebook Page and Official Account! 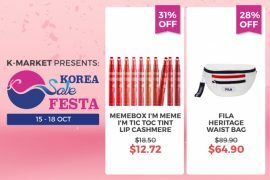 We’re talking about a P&G Bundle worth $200, Herbal Essences Shampoo, Gillette products, Shopee Coins and more. Follow us now, turn on your notifications to stay updated! So, which product will you be camping out for? Let us know in the comments below! *TNC Applies. 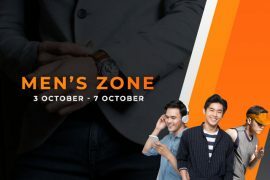 Valid for new users from 18 to 25 Oct only.